HOLIDAY GIFT GUIDE: For the Hostess with the Mostest! Hosts work hard to throw the parties of the season! Let’s treat them to something special, shall we?? 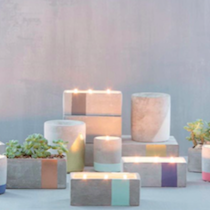 Sea Salt + Sage Candle Brought to us by Paddywax and sold at BARE Waxing Boutique, these modern cement containers and scents bring the outdoor garden in! City-inspired concrete vessels. One of their best-selling fragrances! 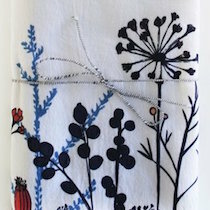 Elena Tea Towel Whitney Somerville is a Portsmouth-based artist who designed the original floral work for this soft, oversized cotton tea towel. A beautiful and thoughtful gift for any entertainer! 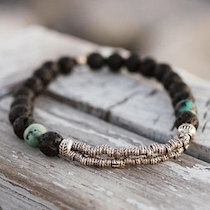 Lava Bead Bracelet This lava bead and African Turquoise bar style bracelet is made with two different types of Karen Hill Tribe beads which make for an awesome Boho look that can be layered or worn on its own. This bracelet can be used for aromatherapy to diffuse essential oils through the lava beads for powerful healing. Reiki infused to enhance gemstones natural vibration of healing energy. Perfect for relaxing post-guest! Holiday Candles Give your hostess something beautiful and festive! 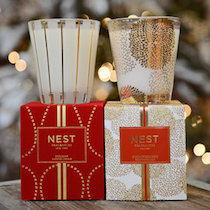 NEST candles (available in “holiday”, “Sugar Cookie”, and “Moroccan Amber” scents) are sold at Pure Barre Portsmouth’s boutique. Build Your Own Gift Bag Fill a customized gift bag with your favorite things for the host of the century! Select things such as handmade White Heron teas, local honey, artisanal chocolate bars, travel tumblers, and more! 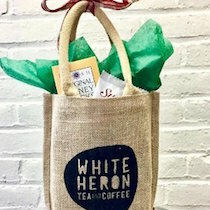 Gift bags are available for filling with a large display at White Heron’s Portsmouth cafe and re-usable totes come free with purchases over $40.00! 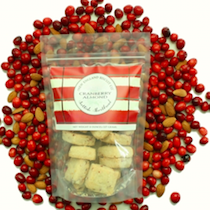 Cranberry Almond Shortbread Indulge your host in some of the finest shortbread you’ll ever taste. New England Biscuit Company’s brand new flavor is sure to be a hit! Best of all? It’s handmade right here on the seacoast! 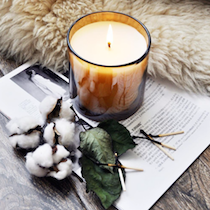 LAFCO Candles Give the gift of beautiful scents and luxurious presentations from a European apothecary. Available in a variety of scents and in two sizes at Making Faces. Air Plants Gift your hostess with a dainty, low-maintenance house plant this year! 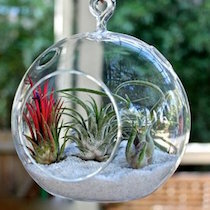 Since they can survive without soil, you can arrange them in a hanging glass container. Available at Flower Kiosk. 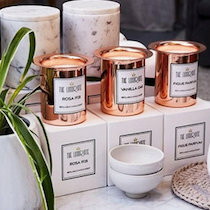 The Luxuriate Candles Available at WHEAT York Beach, this luxury candle collection is elegant and practical. The cararra marble vessel provides a beautiful accessory to any setting. The candle inserts? They come in a variety of scents and can be switched out at a moment’s notice! Lu ‘Nola Hostesses work hard to host gatherings of all sizes. 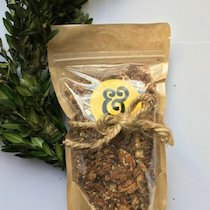 Allow them to relax the morning after with some tasty (and healthy) homemade granola from our friends at Laney & Lu cafe! 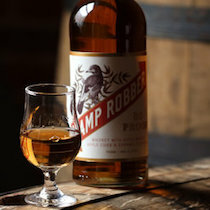 Camp Robber Whiskey Made in New Hampshire by Tamworth Distilling, this spirit drinks like both a whiskey and an American applejack, with sweetness from the bourbon, acidity from the cider, and a spicy backbone from the rye supporting the light, floral brandy. Available locally here. Fir Tree Scented Candle This time of year is all about the pine scent! 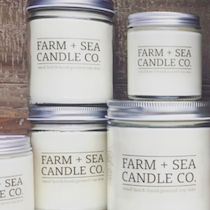 Farm + Sea Candle Company makes beautiful smelling hand-poured, soy wax candles from their studio in Newburyport. Available in a variety of other scents at Farm + Table!